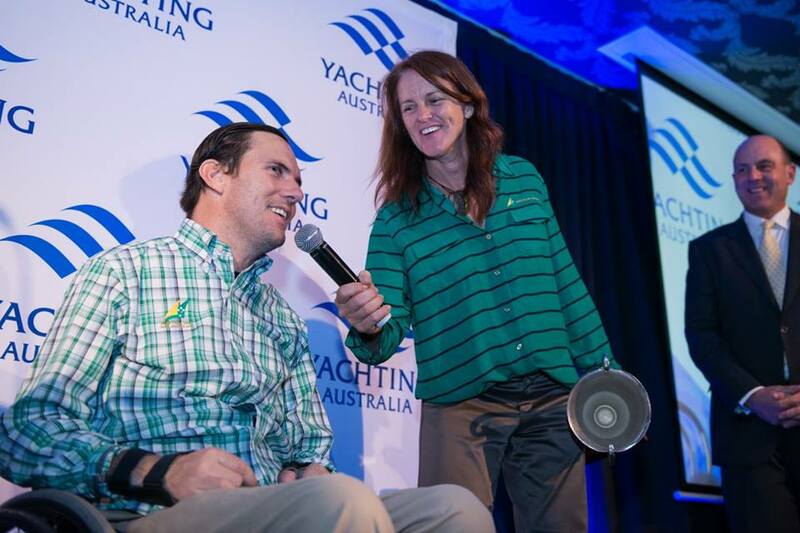 Fresh from their World Championship and World Cup final wins, 470 sailors Mathew Belcher and Will Ryan have continued their extraordinary run of success by taking out the 2015 Yachting Australia Male Sailor of the Year award. The pair have finished on the medal podium at every regatta they have competed at since teaming up after the London 2012 Games. They recently won their third consecutive World Championship title, Belcher’s sixth having won three previously with Malcolm Page, backing it up by taking out the World Cup final in Abu Dhabi. 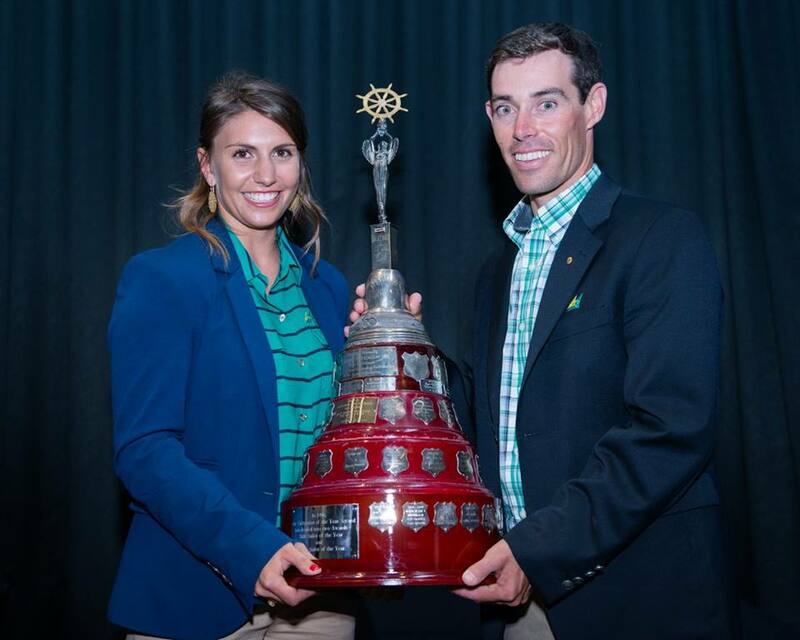 Nacra 17 sailor Lisa Darmanin took out the corresponding women’s award. Together with Jason Waterhouse, Darmanin has enjoyed a successful season racing the Multihull as they attempt to qualify for Rio 2016. As well as two World Cup wins, the pair won the Rio Olympic Test Event and were second at the World Championships. Daniel Fitzgibbon and Liesl Tesch have continued to dominate in their Skud 18 Class since winning gold at the 2012 London Paralympic Games. The pair won the award for Sailor of the Year with a Disability. Youth Sailor of the Year was awarded to the pairing of Kyle O’Connell and Tom Siganto. The Southport Yacht Club sailors won the Australian Youth Championships in January before going on to win the 2015 29er World Championships, a thrilling competition which came down to the last race and just one point. 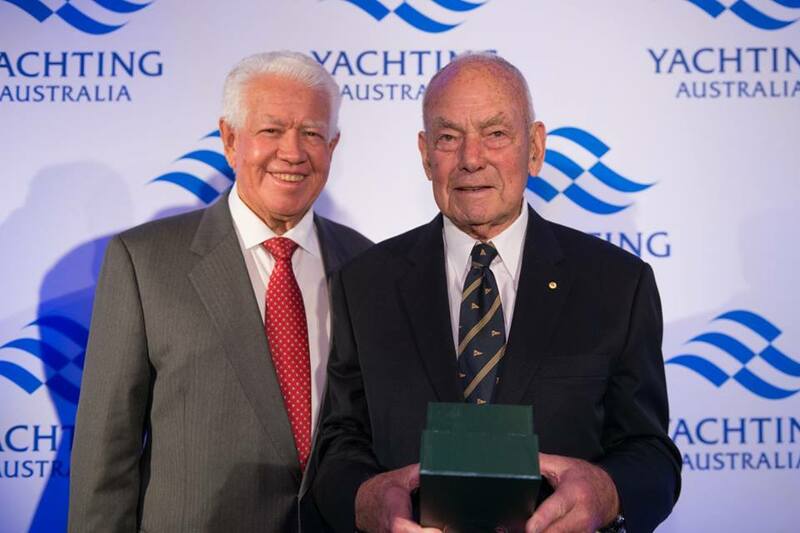 Lifelong friends and yachting legends Bill Buckle and Bob Oatley were recognised for their huge contributions to the sport with Lifetime Achievement Awards. The coveted President’s Award was presented to the highly decorated Olympic sailing coach Mike Fletcher. Setting a Guinness World Record and taking the Sport Promotion Award was Kite The Reef, which saw eight kitesurfers travel 1,185km across the Great Barrier Reef raising awareness and over $100,000 for Motor Neurone Disease. 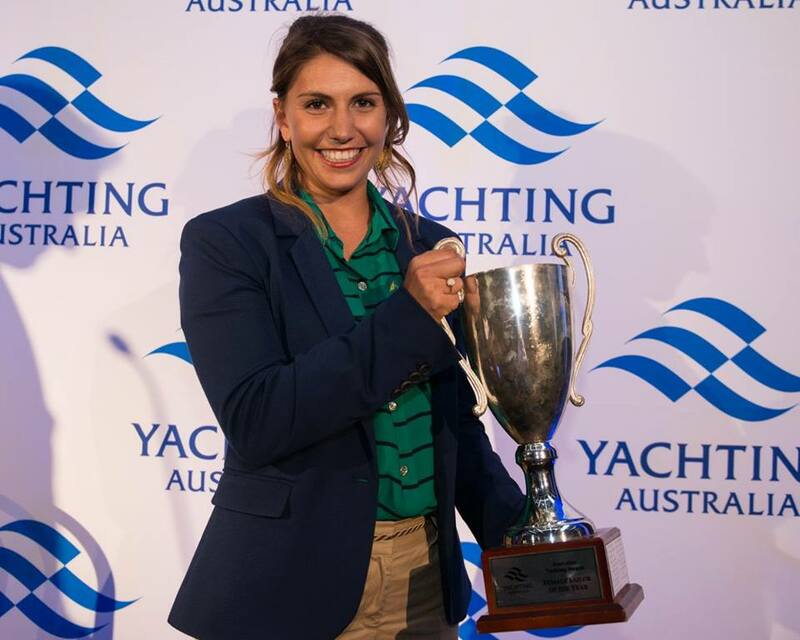 The Sport Professional Award was won by Justine Kirkjian who plays a pivotal role in the organisation of the Rolex Sydney to Hobart Yacht Race. Kirkjian also develops and oversees all racing undertaken at the Cruising Yacht Club of Australia including ocean racing, club racing, social racing, special events and regattas. The Coach of the Year Award was presented to Tristan Brown from Fremantle Sailing Club. In 2015 Brown became a World Champion coach for the first time with Conor Nicholas winning the 2015 World Laser Radial Youth Championships in,Canada. He also coached two sailors onto the 2015 Australian Youth Sailing Team to contest the ISAF Youth World Sailing Championships in Malaysia, taking place at the end of the year. Riccardo Deghi from Sandringham Yacht Club in Victoria took out the Award for Instructor of the Year and Western Australia’s Andy Curnow was awarded Official of the Year. The Sorrento Sailing Couta Boat Club was awarded Club of the Year for their staging of the 2015 Moth World Championships. For his dedication to regatta management, race management, coaching, jury, website management and results, Paul Pascoe was presented the Volunteer Award. 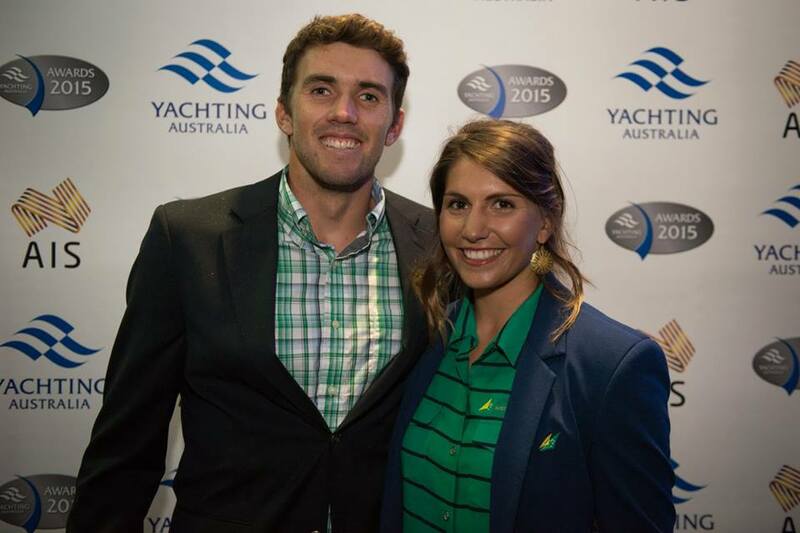 Dan Fitzgibbon and Liesl Tesch Rio 2016 Sailors of the Year with a Disability — at Darling Island Wharf- Doltone House. 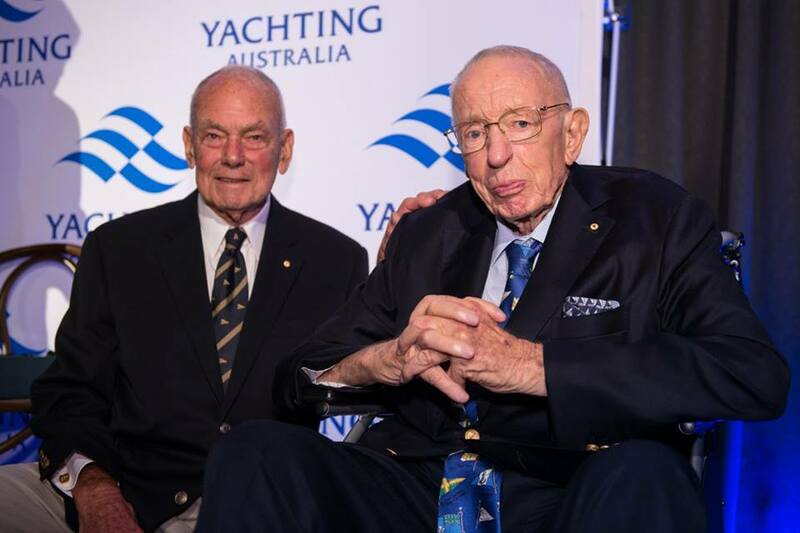 Lifelong friends Bob Oatley AO and Bill Buckle OAM were honoured with Lifetime Achievement Awards for their contribution to sailing at the Yachting Australia Awards in Sydney on Friday night. Oatley and Buckle both started sailing as teenagers and at age 17 and 19 respectively, Bill and Bob formed what would become the Balmoral 12ft Sailing Club. The Club prospered and soon had a fleet of 15 12ft skiffs racing each year. Now called the Balmoral Sailing Club, it celebrates its 70th anniversary this year. In 1967 Oatley joined Middle Harbour Yacht Club and began racing a Yachting World Diamond. His commercial activities however – the coffee industry in New Guinea and the development of the Rosemount wine business in the Hunter Valley – meant he couldn’t sail as often as he would have liked. In 1983 he stepped back into sailing when he had John McConaghy build the original Wild Oats, one of the world’s first composite construction yachts. But it was in the early 2000s when the name Bob Oatley became recognised across the sport and the nation. He pioneered the canting keel concept into the Grand Prix level of ocean racing with his latest Wild Oats yacht. The yacht proved to be remarkably successful and as a result, it led to Oatley leading the Australian team into Cowes, England and winning the Admiral’s Cup, the world ocean racing team championship. In 2005, he took the canting keel concept to the limit when he launched Wild Oats XI, a 30 metre supermaxi that is the most successful yacht in the 70 year history of the Rolex Sydney to Hobart Yacht Race. She has secured line honours on eight occasions in ten starts, won on corrected time on two occasions and twice broken the course record time. While Oatley made waves in the wine business, Buckle also forged a successful career in the motor vehicle and motor racing industry. When he re-entered the sport of sailing, it was in an impressive fashion. Buckle launched a 40ft light displacement sloop called ‘Buckle Up’. The yacht evolved as a consequence of his frustration with racing a classic 43ft sloop on Pittwater which was not fast enough downwind even with a taller rig and larger spinnakers. His sailing expertise and freewheeling mind resulted in the creation of a remarkable yacht that lived up to all his expectations. The project also led to the development of a construction material that helped revolutionise the building of light displacement yachts around the world. He would later use a similar material to build a radical 50ft highly efficient wave-piercing power catamaran which could travel most economically at 24 knots when powered only by twin 230hp sterndrives. It was Buckle’s foresight and drive that was the foundation for the success of the high performance Boatspeed 23 class. He saw the potential of the initial design and introduced it to the Australian sailing team. Oatley and Buckle received their awards at the 2015 Yachting Australia Awards at Sydney’s Doltone House on Friday 6 November. In 2008 the Lifetime Achievement Award was introduced to acknowledge the outstanding contributions to sailing or boating after an involvement of at least 20 years. Yachting Australia is the national sporting organisation (NSO) for sailing, and peak body for recreational boating at Clubs, in Australia. Yachting Australia is a Federation consisting of eight State and Territory Associations, often referred to as Member Yachting Associations (MYAs). In turn there are more than 360 affiliated Clubs, who between them have approximately 65,000 registered on-water members. Yachting Australia is a not-for-profit organisation governed by a voluntary Board with a mix of elected and appointed Directors. 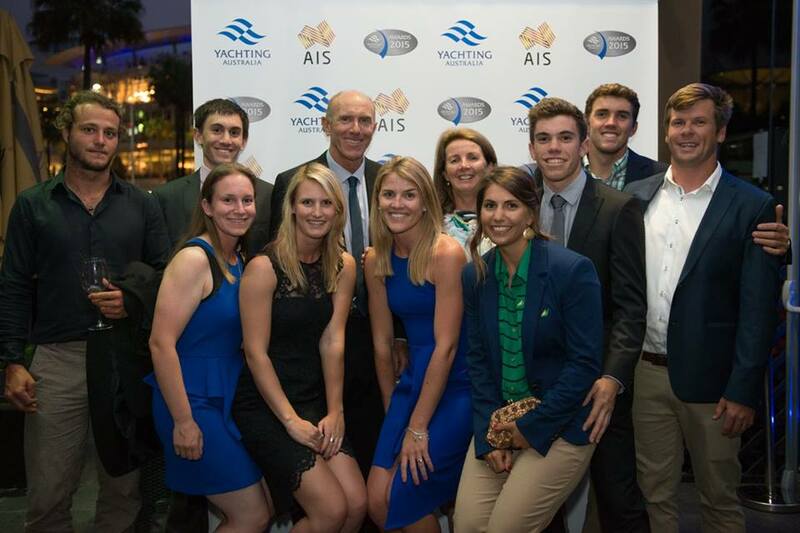 Australian Sailing is the performance arm of Yachting Australia in partnership with the Australian Institute of Sport (AIS) and with support from the Australian Olympic Committee (AOC) and the Australian Paralympic Committee (APC). 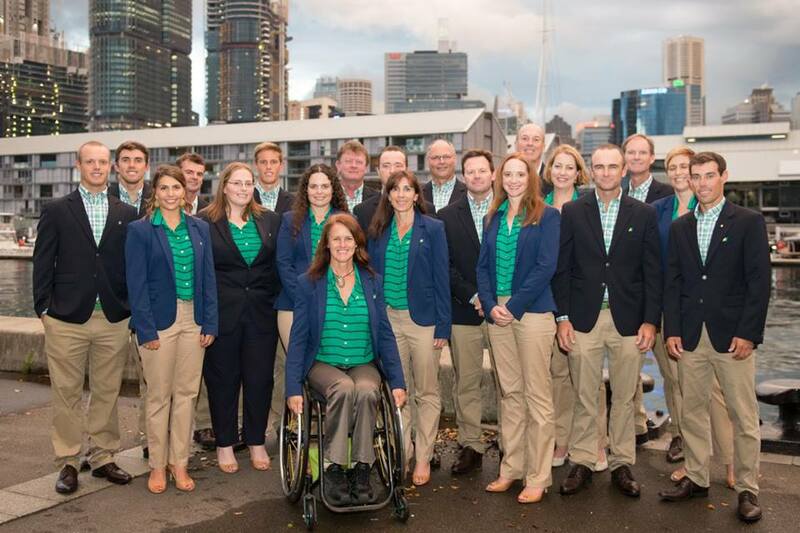 The Australian Sailing Team is the national representative team for Olympic and Paralympic class sailing. At the Yachting Australia Awards 2015 !